We visited them recently, to see how they were settling in, and we felt like we’d just stepped onto the set of the Lion King! It’s a fantastic new exhibit and we encourage you to check it out if you’re in Melbourne. Click here to check out some more info on Lion Gorge. 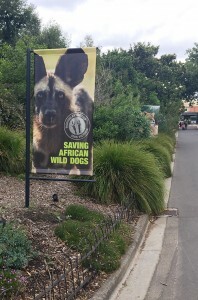 Did you know that African Wild Dogs used to live throughout sub-Saharan Africa but now are mostly limited to southern Africa and the southern part of East Africa. Populations have diminished in the face of human activity and habitat loss as well as infectious disease. There may be no more than 5,500 African Wild Dogs remaining in the wild. They are classed as ‘endangered’ by the International Union for Conservation of Nature and Natural Resources (on the IUCN ‘red list’). 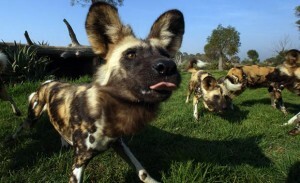 The zoo has plans to breed from the largely female group, to assist in slowing the worrying loss of these animals in the wild. For more info, click here.